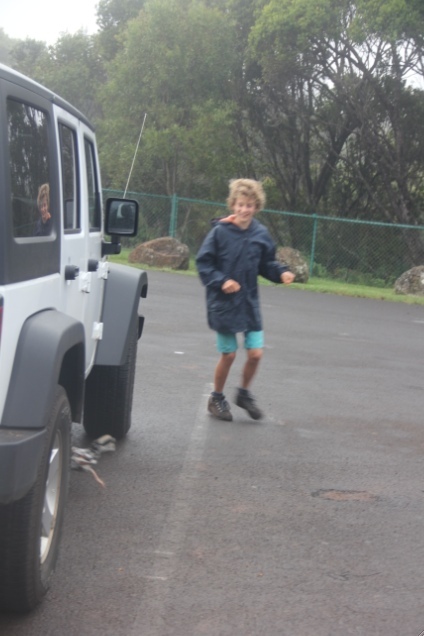 Max, harassing chickens in a car park. This one tried to escape by hiding under a car. 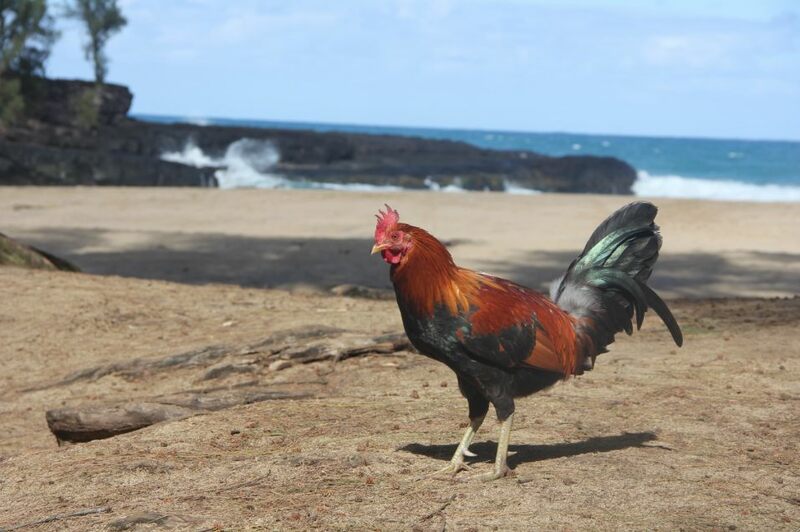 If you want a picture to show what Kaua‘i is really like, you need a chicken in it. There are thousands of the creatures roaming free on the island. Two theories exist that could explain their presence. The first is that sugarcane plantation workers raised them in the 1800s and 1900s for eating and cockfighting, and over the years a [large] number of birds have escaped and multiplied. The second is that in 1992, Hurricane Iniki destroyed chicken farms, accidentally liberating the fowl. 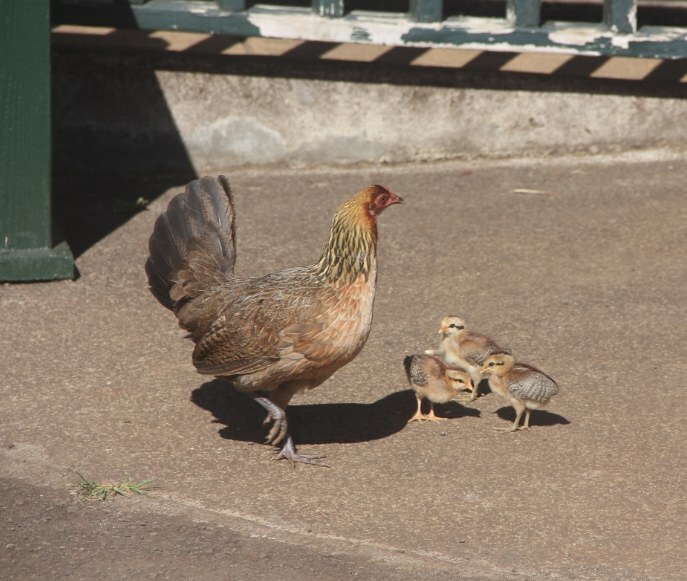 Whatever the reason, whether you’re on a beach or hiking high up along the Waimea Canyon, you’re guaranteed to see a chicken or ten. They’re as surprising and omnipresent as cows in India, but not quite as sacred.